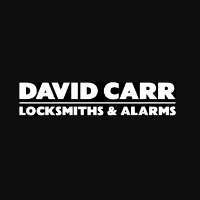 David Carr Locksmiths & Security is professional locksmith in Bondi Junction that specialises in residential, commercial and strata security such as keyless access, security alarms and much more. David Carr Locksmiths & Security is professional locksmith in Bondi Junction and was established over 40 years ago and has grown to be one of the most trusted names in the security industry. We specialise in residential, commercial and strata security focusing on the most practical and cost-effective physical and electrical solutions available. We pride ourselves on trust, professionalism and confidentiality. David Carr Locksmiths & Security also supply and install Securguard Safes due to their quality, competitively priced, and comply with the recommended insurable ratings. Whether it’s for home or businesses, we have a safe to protect your belongings from theft and fire. Connection of your alarm to our monitoring centre offers you the peace of mind with 24 hour 7 days a week response to burglary, fire and medical emergencies for less than the cost of a cup of coffee a day. We subcontract our monitoring service to Monitoring Excellence (ABN: 30096874761, Master Licence: 000103014) which is a grade 1A monitoring centre (the highest grade possible). Not only can we provide a higher level of security we have also managed to provide better value to you the customer. Monitoring Excellence is one of Australia’s premier alarm monitoring companies with commitment to providing the best service possible for our customers. Monitoring Excellence has been solely created to deliver the most technologically advanced services available for government, commercial and residential premises that have back-to-base alarm monitoring. For high-quality locksmith services in Bondi Junction and complete security services, don't hesitate to contact David Carr Locksmiths & Alarms today!